That’s right, you read it correctly — his ET friends. And this isn’t even a new revelation about the 53-year-old former president of the Russian republic of Kalmykia. Ilyumzhinov is currently president of the International Chess Foundation (FIDE), a position he’s held since 1995, after readily defeating former world chess champion Garry Kasparov last year for the job. His background and position on UFOs and ETs will undoubtedly bring Ilyumzhinov under fresh scrutiny — he’s reportedly considering running for president of FIFA, the international governing body of football. “The suggestion has been made but … for myself, I haven’t decided anything about this issue yet,” Ilyumzhinov said, according to the Associated Press. 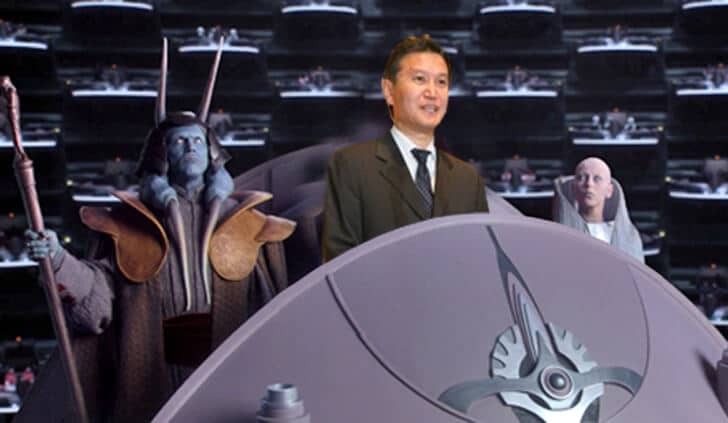 During his Kalmykia presidency, Ilyumzhinov — pictured above at a 2006 meeting in Moscow’s Kremlin with Russian President Vladimir Putin (left) — claimed he was abducted by extraterrestrials. I was taken [from] my apartment in Moscow to this spaceship, and we went to some star and after that, I asked them, ‘Please bring me back.’ They are like people, like us. They have the same mind and the same vision. I talked with them and I understand that we are not alone in this whole world — we are not unique. Following a 2010 television interview in which Ilyumzhinov freely spoke of his alleged meeting with aliens on a spaceship, a member of the Russian Parliament — Andre Lebedev — voiced several concerns to President Dmitry Medvedev, according to BBC News. “He is also concerned that, if [Ilyumzhinov] was abducted, he may have revealed details about his job and state secrets. … Assuming the whole thing was not just a bad joke, it was an historic event and should have been reported to the Kremlin,” the BBC quoted Lebedev. Considering his alleged otherworldly encounter and his long-term association with FIDE, it’s not surprising to hear Ilyumzhinov make an out-of-this-world connection between aliens and the game of chess. It was not in our Russian space vehicles, but with aliens. They came in a flying saucer, picked me up, and I spent a whole day in outer space. It was from my apartment. They flew in and picked me up. They were wearing yellow spacesuits. I remember this moment exactly. We went off to their interplanetary ship, and I started to feel a lack of air, a lack of oxygen. They gave me a spacesuit as well. One of the aliens pointed to his chest and indicated that the oxygen supply could be regulated by turning a dial. So this is what I did. It’s probably a good reminder moment that this is a man who was president of a Russian republic for 17 years, has been the president of the global chess organization for the past two decades, may seek the presidency of FIFA and has had numerous high-powered political connections, including the above pictured Putin. I asked them to take me back to Earth as quickly as possible, because in two days I had to conduct Youth Government Week. And then they brought me back and everything was normal again. A few days later I was walking along thinking: ‘Why did they take me?’ And I was cursing myself for not asking them any questions. But it is possible that it is still not the time for us to meet these extraterrestrial civilizations. That question of “Why did they take me?” has most likely been echoed by the countless people who have claimed over several decades to have experiences quite similar to what Ilyumzhinov insists happened to him. In fact, these so-called international UFO abductees form the basis of a growing sub-culture of the UFO community — they call themselves “experiencers.” For more than a quarter of a century, groups of like-minded individuals have found solace by sharing their experiences with each other. One reason why many people in Russia and America may appear to have cut Ilyumzhinov some slack about his claims is because they believe they’ve shared a similar experience. “Kirsan Ilyumzhinov is one Russian politician who publicly discussed UFOs and, culturally, it apparently was not a disaster. Perhaps the Russian population sees him as someone bending the rules when he talks about having had an experience with a UFO and its alien crew,” said Jan Harzan, executive director of the Mutual UFO Network, the largest civilian-based UFO investigating organization in the world. FIFA will choose its new president next February. If Ilyumzhinov decides to enter the race of international football president contenders, maybe he’s due for another ET visit — one that might convince him that perhaps “they” invented football, too.